Vegas has a fair number of games projected as high scoring affairs in week 9. To be successful we'll try to glean as much information as we can from the offensive line versus defensive line matchups as we can. The rankings (or ratings?) 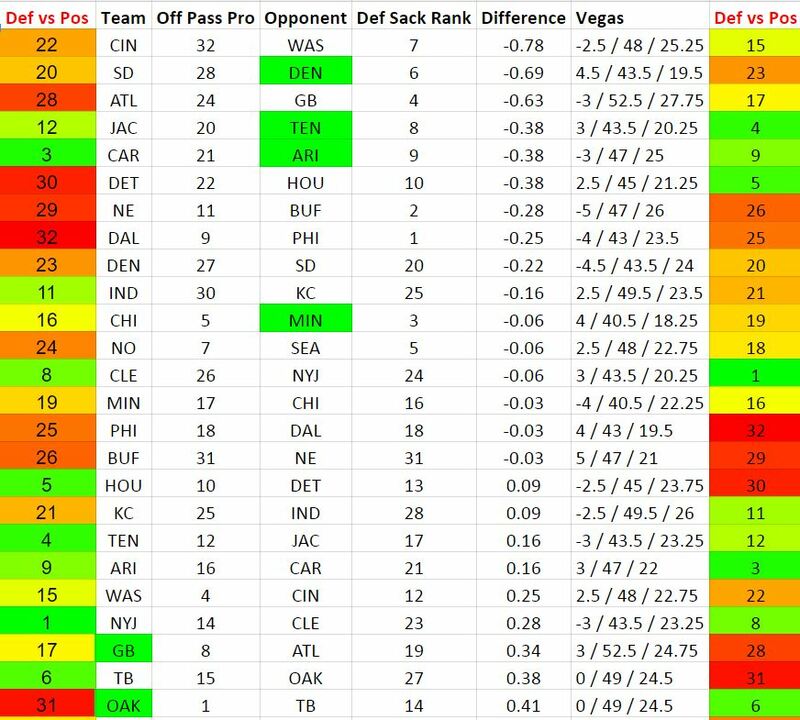 are based on allowed sacks, QB hurries, hits, etc for both sides of the ball. I've included fantasy points allowed versus position as another indicator of possible success. 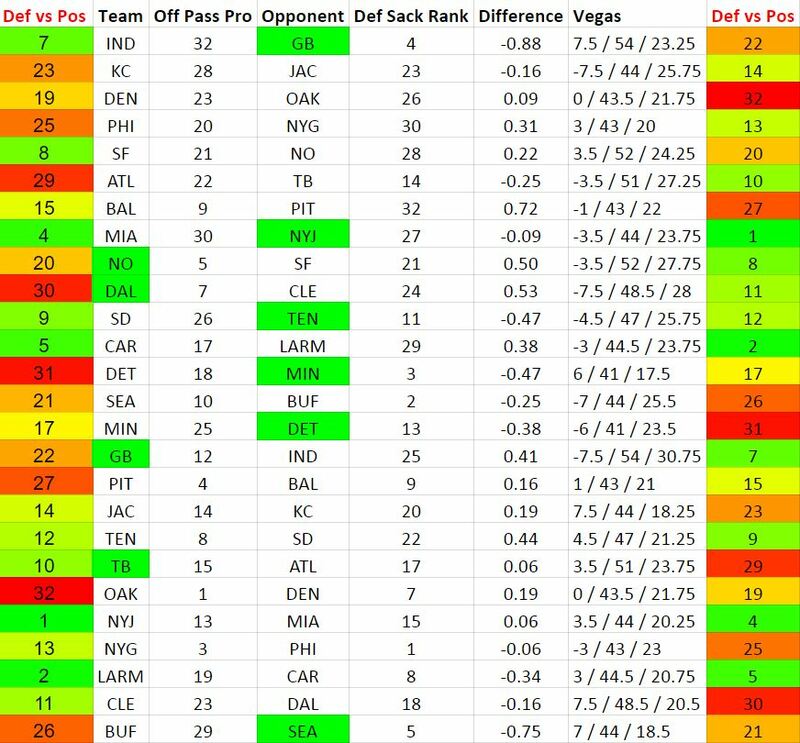 As usual I've highlighted the team defenses that appear to have a solid OL vs DL match-up, low implied points as well as a favorable fantasy points allowed rankings. For comparisons sake here is last weeks chart. GB defensive line versus the IND offensive line. Looks good as Indy is ranked 7th in fantasy points allowed to opposing defenses. The implied points sits at 23.25 for the Colts with Green Bay winning by a large margin. This should lead to a lot of drop backs therefore more sacks and possible interceptions. I really don't trust the numbers here and will pass. Nevertheless, it will be interesting to see how how GB fairs on defense. TEN DL vs SD OL: same concept as above, fading. MIN DL vs DET DL: this matchup looks great with a very low implied points for DET offense sitting at 17.5. The only thing I don't like is the fantasy points allowed by DET is ranked 31st. 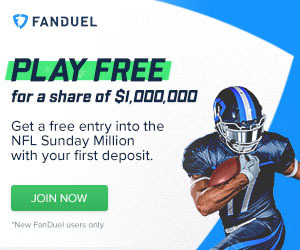 Meaning they don't give up many fantasy points to opposing defenses. I may not play MIN DST in as many contest as you may think. WINNER = SEA DL vs BUF OL: all of the stars are lined up for Seattle to lay it on thick and turn out their best defensive performance of the season. TB vs ATL - they can put together good games and usually you'll see the best out of a team versus their division opponent. ATL vs TB - I like ATL more than TB if Julio Jones can get his knee right and put in a full practice Thursday and Friday. Good luck this week and if you need anything let me know in the forums.